Who is eligible for the Disability Tax Credit? A mild cognitive impairment can involve issues with memory, language, thinking and judgment. It is the intermediate stage between the cognitive decline that is expected from aging and the decline of dementia. With this impairment, patients are at a higher risk of developing dementia. There is no single cause for a mild cognitive impairment; however changes in the brain have been identified as being associated with this impairment. These include having a shrinking hippocampus, plaques throughout the brain, enlarged brain fluid-filled spaces, and reduced use of glucose. 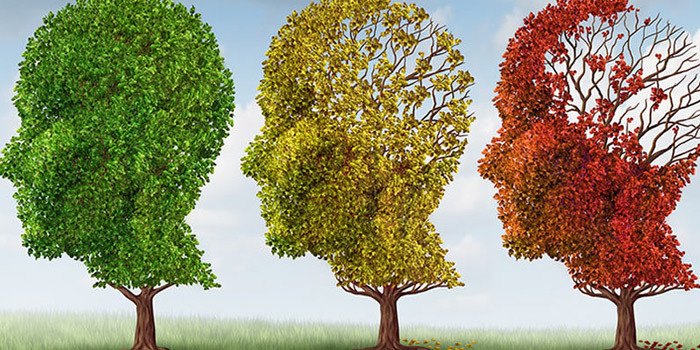 Symptoms of a mild cognitive impairment include forgetting things, losing your train of thought on a frequent basis, feeling overwhelmed easily when making decisions and having trouble finding your way around in familiar settings. In addition, other symptoms can include depression, aggression, anxiety, and apathy. The older one is, the more they are at risk of developing a mild cognitive impairment. It is important to avoid smokingand having a high blood pressure and elevated cholesterol as these may also contribute to this impairment. To reduce your risks, exercise and frequent participation in both mentally and socially stimulating activities will help to lower your risks. For adults, about 6 to 15% of those with a mild cognitive impairment develop dementia each year. With regards to treating a cognitive impairment, testing for it is the first step. There is no single test available to specifically diagnose a mild cognitive impairment. However, doctors do look for hints leading towards their patient having this impairment. These include memory issues, decreasing ability over time and having a lower mental status for the patient’s age and education level. In addition, a neurological examination may be done to test how well the body’s brain and nervous system is performing. Brain imaging can also be done such as an MRI or CT scan to check for a brain tumour, stroke or bleeding. Lastly, mental status tests take about 10 minutes and include several specific tests and questions. Unfortunately, there are currently no drugs or treatment available to treat a mild cognitive impairment. However, cholinesterase inhibitors are used to treat Alzheimer’s and may help those who have memory loss caused by their mild cognitive impairment. Other treatments include helping to lower blood pressure, depression and sleep apnea which all contribute to memory loss. To be eligible for this tax credit, a person must have had this impairment for at least one full year. With regards to a cognitive impairment, a person will tend to fall under the mental functions category since they tend to experience memory loss and difficulties making decisions. How To Apply for Disability Tax Credit for Cognitive Impairment? To apply for this tax credit Form 2201 entitled “Disability Tax Credit Certificate” must be completed by a registered medical practitioner. This tax credit is only available to those who have taxes payable. This form must be completed by a registered medical practitioner. Qualified registered medical practitioners include a medical doctor, physiotherapist, optometrist, psychologist, occupational therapist, speech-language pathologist, and audiologist. It is this form which contains your disability information, such as requiring the date at which the disability began. This tax credit includes a Federal and Provincial component. Disability Tax Credit Consultants at DCC can help to +claim this tax credit and collect up to $40,000 in disability tax credits.